Comprises 20 eclectic stories to move and amuse. I bought your book 'Tea at the Opalaco'. In fact, I have just finished it. I really enjoyed the stories, especially as I rarely read fiction. I learnt a lot through reading your book. Thank you so much. I enjoyed reading Tea at The Opalaco which is the latest book written by Jane Lockyer Willis. I thought the stories most entertaining & varied with good descriptive writing. They certainly held one’s attention & were a good commentary on life! 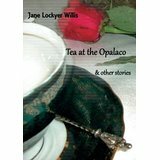 Jane Lockyer Willis has delighted with an eclectic mix of short stories in Tea at the Opalaco and other stories.Tales full of real life characters, bruised by upbringing or hiding feelings behind a veneer of socially acceptable behavior then rebelling and throwing off the conventions. Ghostly happenings and much more. I particularly liked 'Tin Wedding' – though I, like Robert, swear to being able to tell marg from butter! Thoroughly enjoyed these delightful, satisfying stories, written with a humorous edge. Also available on Amazon Books, kindle and electronic down load. Take an old English manor in an old English village; add a handful of ghosts, two psychics, a vicar, a curate, a haunted pub and you have all the ingredients for a funny story. This fast moving, merry read makes an ideal gift for anyone with a sense of fun and who enjoys pure entertainment. means. She seemed to me to be worthy of a few television episodes; “such fun!”. portrayed. I never realised that ghosts too have their problems. This refreshingly well written book with its whimsical entertaining style held my interest throughout. Pros: A multi faceted and light hearted tale with a wonderfully descriptive narrative. Cons: It’s a shame there isn’t a sequel. 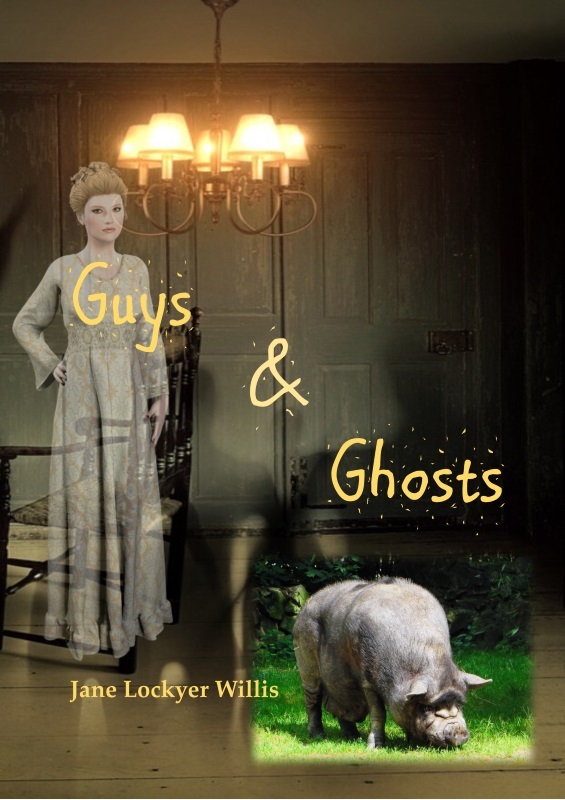 Guys and Ghosts, both give smiles. she gets into – It was fun and funny to read and certainly nothing like anything I have read recently in my bookclub. I felt I could easily connect with the characters – A must read for escapism. "... a perfect example of the craft of miniature play-writing..."
They can be performed for auditions, festivals and party pieces, or tailored towards an evening's entertainment. Just the book to have on your shelf when you need a few minutes entertainment!